"I regret that the tough domestic situation, which has been in place in the United States over the recent years, has in fact resulted in disruption of dialogue between our two countries on all topics, including the nuclear weapons. It is time to get over the difficulties between the [US] political parties and start a serious conversation. 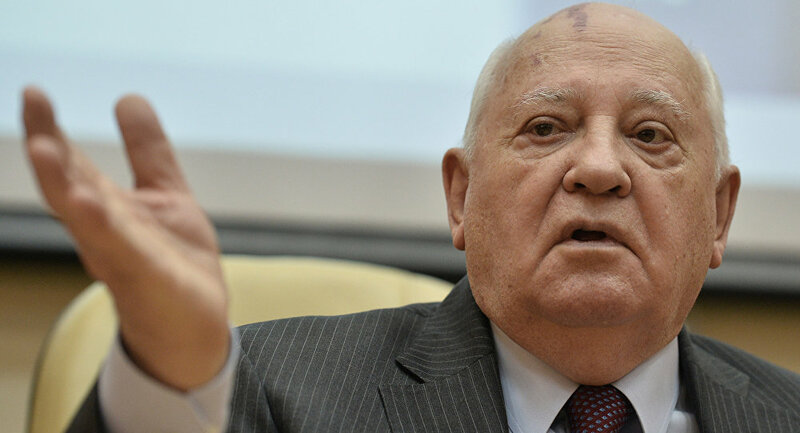 I am sure that Russia will be ready for it", Gorbachev said in his column for Russian newspaper Vedomosti. He expressed the belief that the United States wanted to withdraw from the INF in order to "get rid of all the restrictions in the arms sphere and gain absolute military supremacy […] in order to impose its will globally". "Today's destructive developments may result in destabilization of the global strategic situation, a new arms race, state of chaos and instability in the global politics. Security of all the countries, including the United States, will be challenged", Gorbachev added. The United States has been claiming that the range of Russia's 9M729 missile violates the treaty's limits, but Moscow has denied the allegations, stressing that they were unsubstantiated. Russia, in turn, has stressed that US defense systems in Europe were equipped with launchers capable of firing cruise missiles at ranges prohibited under the INF Treaty. Earlier in February, US State Secretary Mike Pompeo announced that the United States had suspended its obligations under the INF Treaty and triggered the six-month withdrawal process unless Russia comes back into compliance with the pact. Russian President Vladimir Putin has said that Moscow had suspended its participation in the treaty in response to the US actions. The INF Treaty, which was signed by the United States and the Soviet Union in 1987 and banned all ground-launched missiles with ranges of 310 to 3,400 miles (500 to 5,500 kilometers), has recently become another contentious point in the relationship between the United States and Russia. When Presidents Ronald Reagan and Mikhail Gorbachev signed the treaty in Washington, DC, the US and Soviet Union were the world’s only countries with mature intermediate range nuclear technology. Now, China and other countries such as Pakistan, India, and North Korea, are reportedly thought to have such a capability, and they are not bound by the INF treaty – a development that reportedly complicates prospects for new arms control talks.